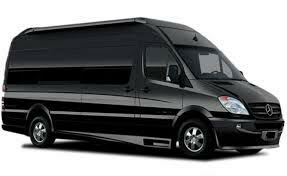 Our Mercedes Sprinter Vans are perfect for larger groups looking for luxurious, safe, and convenient transportation in Miami or Fort Lauderdale. Our Sprinters are brand new and our licensed chauffeur drivers have over 47 years of limousine service experience in Miami and Fort Lauderdale. Our Mercedes Sprinter Vans are super comfortable, they seat 14 passengers, and they have lots of room for luggage. If you are looking for transportation for a big group of people, our Mercedes Sprinter service is the perfect solution for you. Let us provide you luxurious, dependable, hassle free transportation for a fair price.